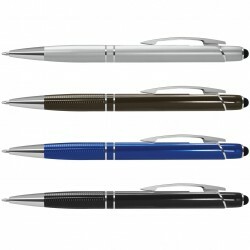 Matt finish aluminium barrel ballpoint pen with Black accents. Optional black suede velvet pouch.Writing distance: 2.1 kilometres. TC roller ball. Nero pigment ink. 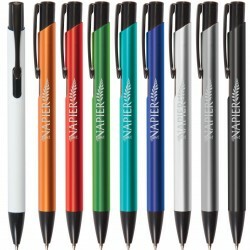 Retractable plastic and metal ball pen with a white barrel, a translucent soft touch grip and top part and shiny chrome trim. It has a black TRENDS large volume refill with 1800 metres of German manufactured DOKUMENTAL ink and a tungsten carbide ball for improved writing quality. Blue ink is available for an additional charge. 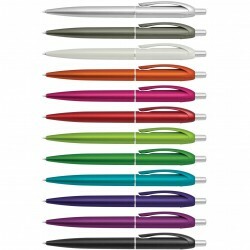 Retractable plastic and metal ball pen with a unique, patterned soft touch grip and shiny chrome accents. 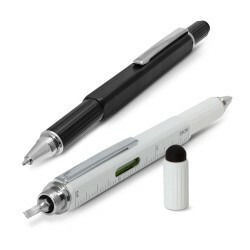 It has a black large volume refill with 800 metres of German manufactured DOKUMENTAL ink and a tungsten carbide ball for improved writing quality. Blue ink is available for an additional charge. 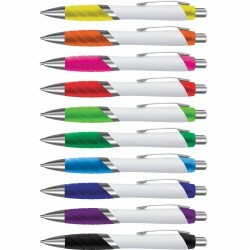 Retractable plastic and metal ball pen with a soft rubber grip and shiny chrome trim. It has a black TRENDS large volume refill with 1800 metres of German manufactured DOKUMENTAL ink and a tungsten carbide ball for improved writing quality. Blue ink is available for an additional charge. 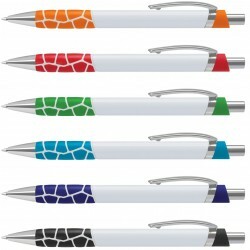 Funky retractable plastic ball pen with a design inspired double injected soft touch grip. 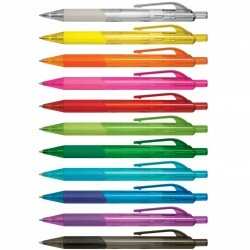 It has a blue refill with 500 metres of writing ink and a tungsten carbide ball for improved writing quality.